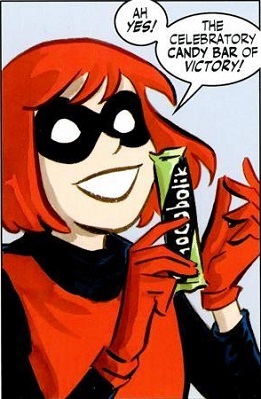 I've unilaterally decided that we could all use a little Bandette in our lives. So the new Bionic Woman and her friend go shopping for fine armaments and the like and this thing happens. I am considering skipping the trade-wait and just buying up the singles, now. One page of a five page preview. The rest of the preview is up at CBR. ETA: Um, Mods, I can't add a Title: Bionic Woman tag, 'cause apparently that would exceed 5000 tag limit? A domino mask, a red tunic, a black cape with yellow lining... and yet not who you might presume I would be posting about. My love for the genius that was Jim Henson is fairly well known here I think. So for Archaia Entertainment to have out, almost simultaneously, two different hardcover publications based on his work (and another to come in the shape of a Labyrinth novella) is a source of unparalleled joy (Well, pretty much unparalleled, within limits y'know) so I want to share these with you all! There is more from the Marvel Adventures universe! One of the things I like best about the MAverse lately is how Thor and Valkyrie have seemingly adopted Nova. This time, Nova accompanies them on a mission through the Asgardian Underworld. There are few universal truths but one of them is this: Marvel Adventures will make it all better. For example, Thor and pirates! 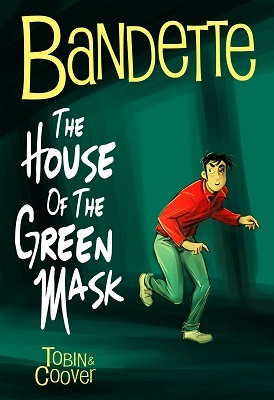 I was surprised nobody posted this a few months ago, but it may have been overshadowed by the pie-eating contest short story. Since Brian Reed stopped being interested in her series (which was then cancelled) and the first incarnation of the Bendis' Mighty Avengers finished (both of which seem to coincide right about Secret Invasion), Ms. Marvel's not had a lot to do in the Marvel universe. She's been Avengers wallpaper, occasionally coming to the fore when something needs to be hit and stand in crowd scenes. I don't believe that she's even had notable gust star spots, except in Black Widow and the Marvel Girls. As you can see from the cover, this series carries Marvel's guarantee of good, clean, done-in-one superhero storytelling. For those new to Marvel comics, just look for the TOBIN mark on the cover. In this instance, it's next to the barcode at the bottom of the page. We're in Ashdod, Israel, where Natasha is on the hunt for Ms. Marvel. She leaves the hotel room that Ms. Marvel has been staying at and on the street sees somebody drive a van into a building.